Proudly sponsored by Hills Science Diet, New Lambton Vets conducts a successful Puppy Preschool program. It is a 5 week course and covers all the aspects you need to ensure your puppy starts its life being well trained. Full details are available via our downloadable pdf document so please take a few minutes to read the content below. 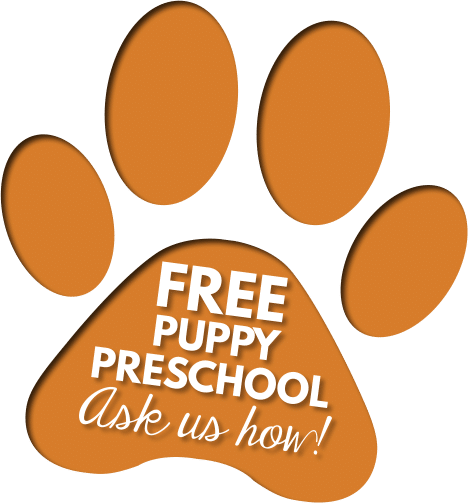 We conduct a very professional program and we like our Puppy Owners to appreciate there are a few requirements in place. All dogs, must be registered by six months of age. The registration fee is a once-only payment, which covers the cat or dog for its lifetime in NSW, regardless of any changes in ownership. You are encouraged to have yourdog desexed before registering it. Discounted registration fees apply to desexed dogs. Having your dog desexed prior to registration helps to reduce straying, fighting and aggression and antisocial behaviour. In NSW, all dogs must be microchipped by 12 weeks of age or before being sold or given away, whichever happens first. In addition to being microchipped all dogs, except working dogs, have to wear a collar and tag showing the dog’s name and your address or telephone number when outside its own property. Dogs are allowed to be off leash ONLY in designated off-leash but must be under effective control at all times.